Photos;Paulina Rubio as Celebrity guest of first “AL ROJO VIVO” broadcast from Telemundo center! 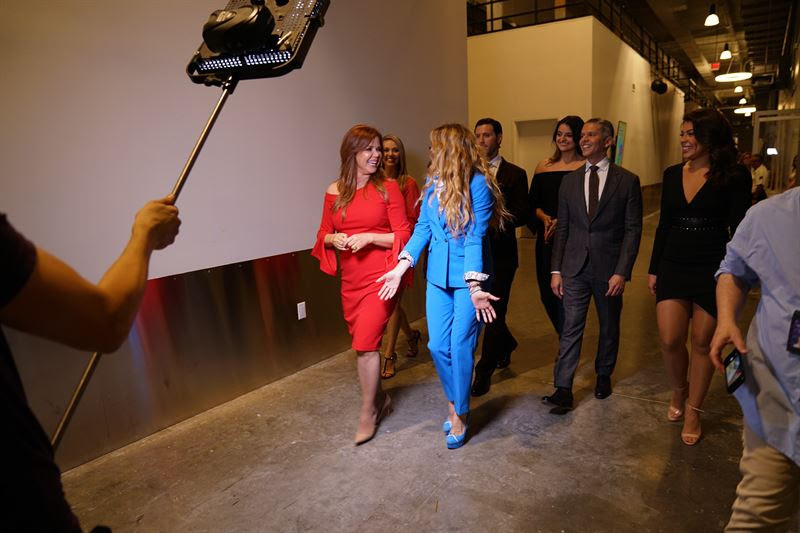 Hispanic superstar Paulina Rubio was the celebrity guest for the first “Al Rojo Vivo con María Celeste” broadcast from the show’s new studio at Telemundo Center recently..
María Celeste gave Paulina a red carpet welcome and guided her through a televised tour of Telemundo Center. From left to right: Alix Aspe, Jessica Carrillo, Enrique "Quique" Usales, Azucena Cierco, Paulina Rubio, María Celeste Arrarás, Nicole Suárez and Rodner Figueroa. Representing an investment of more than $250 million, Telemundo Center is a unique multimedia production facility capable of producing more than 3,000 hours of top-quality digital content annually.